Student App Challenge: KidTREK - a Safe Journey App for Kids! 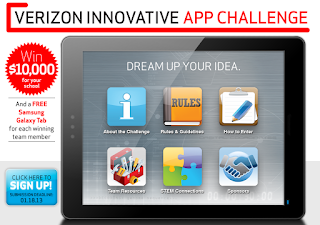 This month, my Student Innovation Team (a group of ten 4th-7th graders) participated in the Verizon App Challenge. They had to identify a problem or challenge, then design an app to respond to it. They were so excited about this challenge. The kids couldn't believe that they could possibly create their own app. After weeks of work, they came up with KidTREK. Below is the essay they wrote about the app for the App Challenge, as well as their "app commercial." I really hope they win and that this app can be developed! Ever walked home and felt nervous that someone was going to hurt you in some kind of way? Ever met someone that was hurt on their way home? Ever worried about whether that your child, student or relative was getting to their destination safely? Well we have an app for you! This app is called KidTREK. This app will let your parent, family member, friend, guardian, teacher or principal track you while you're on your way home, after sports, clubs, etc. This is a great app to protect your kids and make sure they're safe. We are concerned about the safety of children as they travel from location to location. As middle school students in Chicago, we are coming to and from school on our own every day. We also have to go to our friends’ houses, family’s houses and activities by ourselves. A lot of times we feel nervous. Our parents, teachers, friends and family members are always worried about us too. They call us to make sure we’re safe. We worry about wheter we can call 911 fast enough if someone comes to bother us. We worry about bullies trying to bother us. We want an app that helps the people who care about us track where we are and see if we are safe. If you register KidTREK with a parent, guardian, or school you will be able to track your child or student when they leave from where they are coming from and when they arrive home or where they are going. You will get a text when your child leaves their location with a link to their changing location and another text when they arrive at their destination. This text feature uses GPS Tracking. Another feature we have is when a school or a parent wants to track that child at any time they have the ability to do that. If they feel like that child is in danger they can track them. It will also have automated tips about crossing the street. This means the app will use GPS to know when a child gets close to a cross walk so it can give automated safety tips. For example when you are approaching a side walk it reminds you to look both ways which could be helpful (could be turned off). This app can tell you where police stations are and when you are near one (can be turned off). We are also excited to let you know that our app has a program that will invite neighborhood businesses apply to become KidTREK certified Safe Havens. This will allow kids to go into this place if they feel like they are being followed or are in danger. The business will call 911 or their parent. To identify these locations, the windows will have a certified sticker. Our primary audience for the app is for adults and children. Both are able to use this app. You have to have an adult register with the app and the child will have the app on their phone. Schools can also be an audience. If a school has an after school club or program, and wanted to make sure that the children get home safely, they can register with the app as well (with parent permission.) Older brothers, sisters and cousins could also register with the app to help their younger relatives get home. To create this app, we used STEM processes in many ways. We started by using technology first and then incorporated every thing else bit by bit. We used the scientific method to come up with our design. We identified a problem, hypothesized some solutions and then started to test our solutions by taking polls and doing research on the Internet with each other. First we used a learning management system called Schoology to brainstorm problems in our community. Then we took polls about some of our ideas for apps that could solve them. We used our iPads to collect and analyze our data from these polls and collaborate to discuss the results. As we looked at the data we thought about if our app would have relevant features for our primary audiences and if it would be easy for them to use. We used the Internet to find out if there were similar apps and how our app could be different. We also looked at articles and websites about safety. We also used the Internet to research ideas for our app’s name. We wanted a name that was unique and not used by a lot of other websites or another app. We used math when we were looking at the concept of mapping. We thought about map scale and how the mapping program would work. We also used math when we collected data from our peers and analyzed it as a team. By using this STEM process, KidTrek was then born. This is an app that will help kids in case of any problem while walking home. 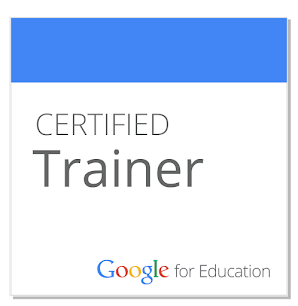 So many districts I talk to these days have moved to Google Apps for Education (GAFE). However many of these schools often don't fully realize the gold mine of resources that have been opened up to them! 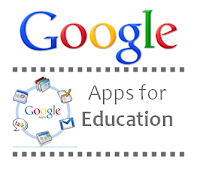 Here is a quick list of ways to leverage Google Apps in your classroom / school. 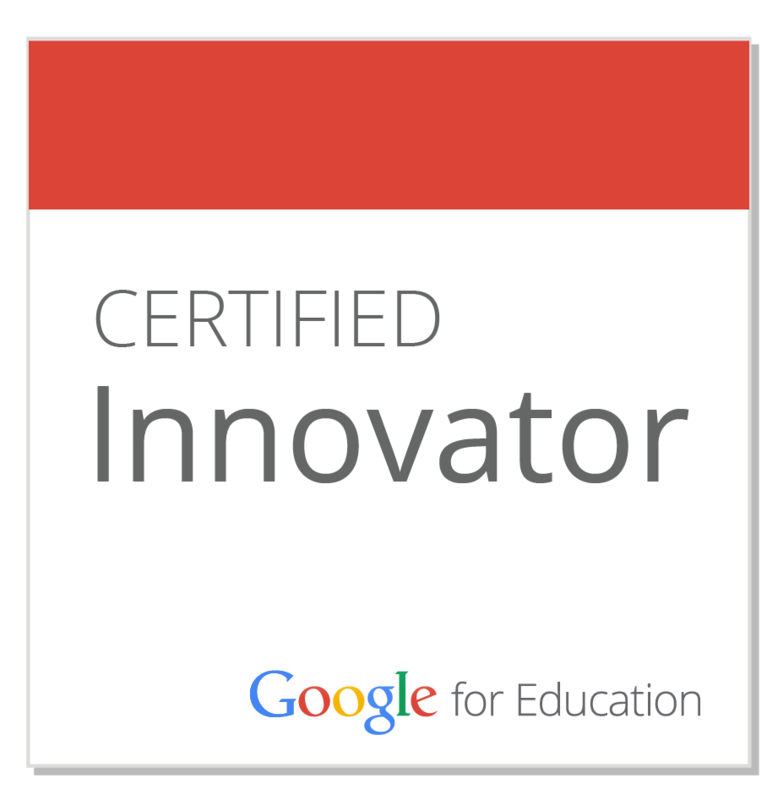 Create Google Forms for your Exit Tickets, pre-assessments or even summative assessments. Use conditional formatting to help you grade it quickly with colors, or the script Flubaroo to auto-grade your entire spreadsheet of form results. See this video for a quick walk through of form creation and conditional formatting. Have your kids work collaboratively on a project with a shared Google Presentation or partner write with a shared Google Doc. Or, have them work independently and share peer feedback through "comment only" sharing settings in Google Drive. Another great use is by sending shared reading texts or other oft-photo copied assignments to kids via Google Drive. Instead of having students squint to see the overhead projector (or if you're fancy, the doc cam projection), allow them to view their own copies on their own screen. Then, watch as your kids are amazed by the fact that they can see your work (or each other's) in real time - keystroke for keystroke! When sharing these documents save yourself a lot of time and hassle by using the Doctopus script to make copies of these files and share them out with your students seamlessly. This script will even create a spreadsheet of links to these shared documents and allow you to send your students grades and feedback! Check out this page for more information on the Doctopus script and how to use it. Create your own Google Site to share information with your class - both in school and out. You can post homework assignments, the class calendar, Google Form assessments, lesson videos that you create or find and much more! 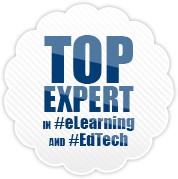 See this video for some tips on how to create your own class site. See also this sample class site (my own from last year!). Many districts have begun to unblock YouTube for teachers. Even if you only have a single computer in your classroom, you can still leverage this bounty of resources for teaching and learning. 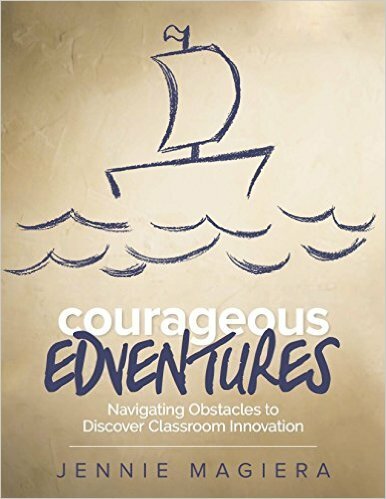 Discover great media to inspire your students or get them asking questions. Find videos to help scaffold or reinforce learning for struggling students - or challenge those who are excelling. You can create your own playlists or find already-created channels such as Mathademics. Google Sites can also be a great place for a school to easily share information with its faculty and staff. Instead of handing out binders of forms, lesson plan templates and memos at the beginning of the year - and continuing to waste paper with newsletter stuffed into mailboxes - consider create a Google Site. The site can offer Google Forms for teachers to request supplies, field trips and reserve common spaces like labs, auditoriums and computer classrooms. It can serve as a filing cabinet for important documents and even host embedded Google Docs for frequently-changing documents like RTI lists, schedules and staff lists. By making the site invite-only (open only to those with whom it is shared) you keep the information on it protected and private. Finding it difficult to schedule common meeting times for your after school PLC? 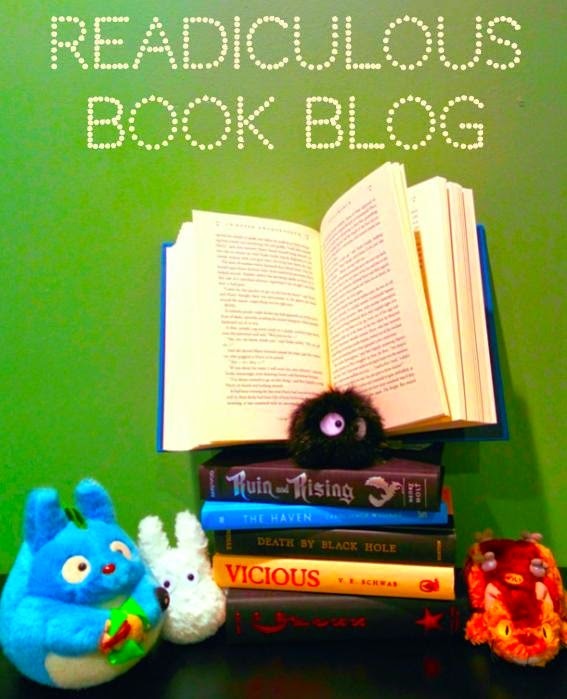 Try having teachers contibute to a Blogger page in lieu of some of the face-to-face meetings. We have done this for our iPad PLC for the past three years and it has worked quite well! The teachers in the PLC are all made authors and then commit to posting once a week. They write about challenges, questions, successes and post student work. The other teachers can them respond to one another with questions, support or comments. Not only does this make teacher collaboration an anytime anywhere activity - much more convenient for cross-grade PLCs that don't enjoy common prep periods - but all of that collaboration is then archived for future reference! Still want to have a verbal dialogue? Try a Google Hangout. This allows teachers to be in different places yet still find a time to meet. For example, if two members of your team had to leave early - one for a doctor's appointment and one to pick up a sick child - you could all agree to meet that night at 8pm, after dinner is over and the kids are settled in for the night. Google Hangouts allow up to 15 members at a time and also integrate other Google apps - such as Google Docs and presentations. If you don't like the way your hair looks at 8pm or want to join in your jammies, simply turn off the camera using the camera icon in the upper right corner and focus on the work product - the shared Google Doc. 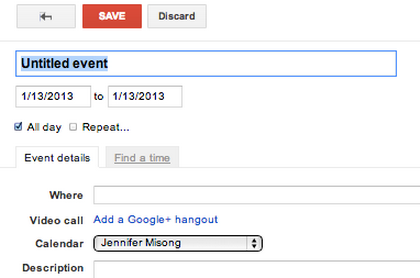 You can embed Google Hangouts into Google Calendar invitations by clicking "Add a Google+ Hangout" when you're editing the event. Then all your colleagues need to do is click "Join this hangout" on the date and time of the event and they're in! Use Google Calendar to streamline your scheduling. Create one to show when common spaces are reserved. Create another for teachers to show what they're teaching when. Create another for sporting events. Then teachers will have a list of calendars on the left panel of their Google Calendar - they can select or deselect the calendars by clicking on them. If the calendar is selected, it will show on their main calendar screen - if not selected, it is hidden. Teachers will easily be able to see what is going on, where their colleagues are, which rooms are available and what others are teaching - for cross-content alignment. Moreover, these calendars can be embedded into the teachers' Google Sites as well as the school's Google Site. Instead of having teachers email lesson plans back and forth to and from the principal or their curriculum coach - resulting in countless downloaded files and revisions of Word documents - try using Google Docs and Drive. Create shared folders for each teacher - either shared with the entire school (for collaboration and alignment) or with the teacher and his/her coach/administrator. Then teachers will simply drop Google Docs into these folders and they'll automatically be shared. Moreover, coaches or administrators could give feedback and support regarding these lesson plans by using the comment tool in Google Docs. The teacher will automatically get an email when a comment was made and be able to click a link in that email message to respond to the comment. If the teacher makes a revision of that lesson plan, the revision history will show the update and the coach can see the evolution and improvement of that plan over time. In this way turning in lesson plans becomes less about accountability and more about coaching, feedback and support.